When insecticides are used to suppress insects, they often are used in a curative manner. Used in this way, nothing is done until insect numbers become high, at which time a pesticide is applied. Insecticides are capable of quickly suppressing high pest numbers, in many cases. Fungicides, for control of plant diseases, are not used in the same way. They are used in a preventative manner because the fungal pathogen, once inside the plant, cannot be killed. Fungicides act by preventing infection, and hence must be applied before disease develops to high levels. Biocontrol agents differ from insecticides in that they must be used in a preventative manner, rather like the way we use fungicides. For example, whiteflies on poinsettias are easier to control if wasp releases are begun very early in the crop, at a time when whitefly numbers are low and do not yet present a damaging problem. Wasp releases are unlikely to work if growers wait until numbers are high before starting to release wasp. Talk with your supplier of natural enemies, too. Research is continuing on the compatibility of pest control materials with natural enemies. More precise information is available on the compatibilities of particular products and natural enemies. Because biological control agents are living organisms, they must be handled and stored more carefully than pesticides to keep them alive and able to be effective when applied. The following are some steps growers can take to increase the quality of the biocontrol agents they use. Be sure you are receiving your agents from your supplier quickly (4 days after placing an order), and that the material is kept cool during shipment (ice pack in carton when you get it?). Check you shipment when you get it to see if the material is alive on receipt. If you have problems, call your shipper and ask them to change shipping procedures. Keep at it until it works. If is important that you verify that you are receiving what you order and that it is healthy. You should verify the number received by counting a small sample of the product and multiplying as needed to calculate the number per package. If you are not receiving full measure, contact your supplier for compensation or change suppliers. Your should verify quality by observing the agents to see that they are moving about. For some agents, like whitefly parasitoids, you can count the number that emerged after release by retrieving the release cards and determining the proportion bearing the right type of holes to show that a wasp emerged. As with any purchased biological control agent, the quality of the product can affect efficacy. Quality of the product can be affected by batch, shipping, storage, and application conditions. Be sure to check viability of each shipment. A small sample of the mixed product should be checked with a hand lens or magnifying glass. Sampling studies have shown that packages from any supplier may have an occasional high or low count. Because there is always a chance that a sample will contain an unusually high or low number, the more samples tested from a particular shipment, the more accurate the estimate will be of the real number shipped. Growers do not have much time to spend checking samples, therefore, if only one sample from a shipment is tested, then several shipments in a row should be sampled to get an idea of the consistency of the counts. It is essential to keep good written records, including the date the shipment was received, as well as any dates or lot numbers that appear on packages. The supplier needs this information to trace which production series packages came from. If a majority of the biological agents are dead (less than 50%), then immediately contact the supplier. Be sure to return the original shipment to the supplier. Hypoaspis miles (=Stratiolaelaps scimitus): The predators are tan and move very quickly, compared to their food source mites, which are smaller, slow moving and white or translucent. Evaluate a small sample of the contents to see whether the mites are alive and whether you received the correct quantity. First, gently rotate the contents of the package to mix the predatory mites with the bran carrier. Pour a small amount of the material onto a white sheet of paper and gently spread the contents out using a small soft paint brush. Count the tan, predatory mites that move. For example, if the entire package fills five paper coffee cups, select 1/8 cup or 2.5% of the material for observation. No need to count the grain mites, and be sure to check the rim of the container for live mites. Atheta coriaria (Rove Beetle): They are active fliers so do not open containers until in the release area. The adults may be seen, moving in the media. Steinernema feltiae: Assess the quality by placing a teaspoon of nematodes mixed with water into a small clear dish, place over a black background (paper, counter). Wait a few minutes, then look for moving nematodes, with curves shaped like a 'J'. Nematodes that are very straight and motionless may be dead, and therefore, ineffective. Video: Using Beneficial Nematodes - see end of article. Amblyseius cucumeris: Check for predatory mites inside the lid of the container or in the bran carrier under 10-15 X magnification. Healthy predators are light tan and move more quickly than the food source mites, which are smaller, slow moving and white or translucent. 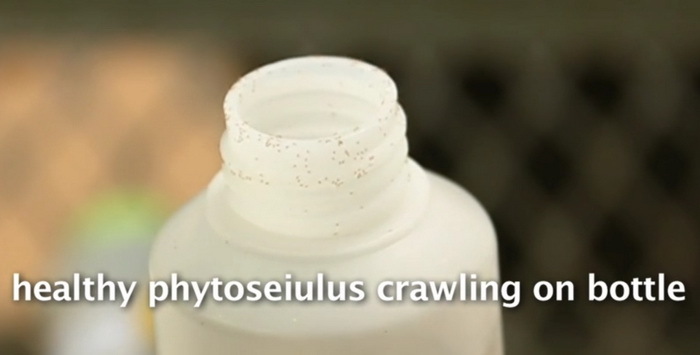 If you open a container and it smells strongly of ammonia, the mites are probably not in good condition. Encarsia formosa: Shipments contain paper cards with a predetermined number of pupae per card. To assess Encarsia formosa on paper cards, place a single card into a jar with a tight lid. Expose the jar to room temperature (70-75F) out of direct sunlight. After 5 days, count or estimate the number of adult parasitoids that have emerged from the pupae. About 95% of adults should have emerged from the pupae. Eretmocerus eremicus: Sold as loose pupae. Place approximately 2% of the total volume of the contents into a joar with a tight lid. See encarsia above. Again, 95% of adults should have emerged from the pupae. For information on rates, contact your supplier. Also see: 2009-2010 New England Greenhouse Floriculture. After you have received your biocontrol agents you must kept them under favorable physical conditions until they are used. Some agents cannot be stored and should be used immediately. Others can be stored for days, weeks or months, depending on the product. Natural enemies that are supplied with a food source can be stored for a few days before use; however it is recommended to use natural enemies immmediately upon arrival. 1. Parasites and predators. Use immediately in most cases. If these must be stored, hold them at 55-60 F and high (70-90%) relative humidity. Do not refrigerate, as temperatures in refrigerators (35-45 F) will injure these agents. Do not hold in warm places (70-90 F), as the organisms will emerge and may die if not provided with water and food. One of the common sources of mortality in storage is desiccation. This can easily be avoided by placing the container of natural enemies in a plastic bag along with a wet sponge, and closing up the bag. 2. Nematodes. These can be stored for up to 10 weeks, but need to be kept refrigerated and humid. 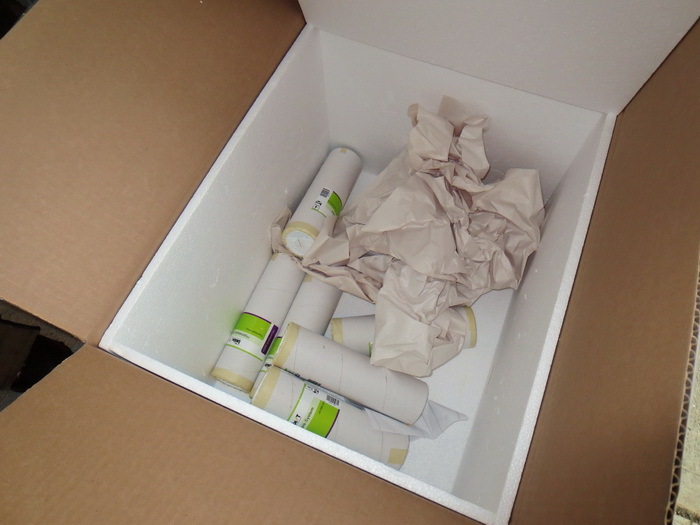 Store at 40-70F; overpack containers in plastic bags with a wet sponge to maintain moisture. Although refrigeration is not critical, it is still recommended; however, be sure to avoid exposure to freezing temperatures, which can kill nemeatodes. 3. Bacillus thuringiensis. This material is very stable and can be stored like an insecticide. Refrigeration is not needed, but it is best (as with chemicals) to avoid high temperatures (over 90 F). Natural enemies differ one from another in very important ways. To use them successfully, you first must have a recommendation from a reliable source that a certain species is able to provide control of your pest in your crop. Second you must be sure that the supplier is selling you the species you want, not merely a related species. Biological control has worked best in systems in which the use pattern and release rate have been scientifically evaluated. Ask about the basis for recommended rates supplied by producers and in the New England Greenhouse Floriculture Guide. Jandricic S. 2016. Four Ways You're Killing Your Predatory Mites. OnFloriculture, OMAFA.